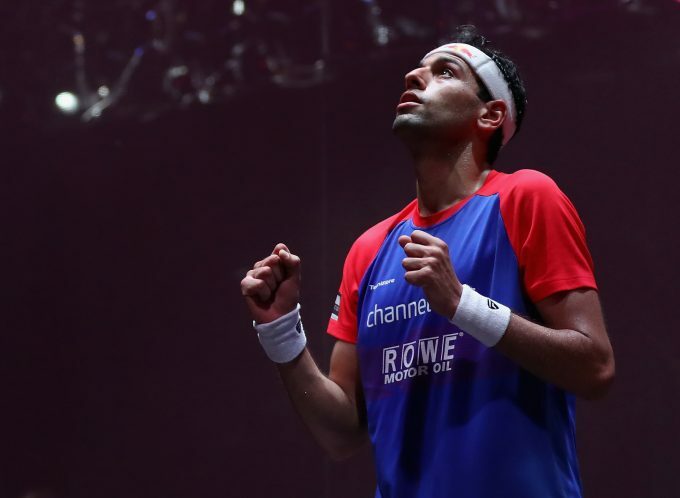 For the seventh consecutive month, Egypt’s squash player Mohamed El Shorbagy retained his position on top of the PSA World Rankings for September. In August, Mohamed El Shorbagy became the longest-reigning Egyptian World No.1 of all time after spending seven months in succession, and 35 months in total, on top of the World Rankings. Egyptians dominated the top 10 list securing six spots for Ali Farag (No.2), El Shorbagy’s younger brother Marwan El Shorbagy (No.3), Tarek Momen (No.4), Karim Abdel Gawad (No.8) and Ramy Ashour (No.9). Apart from the Pharaohs, Germany’s Simon Rösner secured the fifth position, Colombia’s Miguel Angel Rodriguez was ranked sixth, France’s Gregory Gaultier seventh and New Zealand’s Paul Coll in the tenth spot. For the women’s rankings, Nour El Sherbini remained on top for a 29th consecutive month becoming the fifth longest reigning World No.1 of all time in the women’s game. World Champion Raneem El Welily was behind El Sherbini in second place followed by World No.3 Nour El Tayeb, while Nouran Gohar stayed at No.6 in the September rankings.